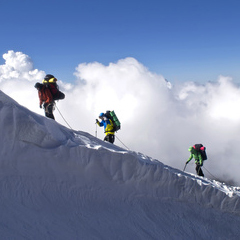 In terms of physical preparation for Mont-Blanc, you should not only be in good physical condition, but also have tested your level of fitness at altitude. 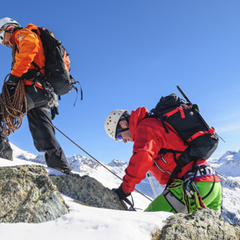 A first experience of an easier “4000” and at least one night spent recently at more than 3000 m will give you a better idea of your real condition. 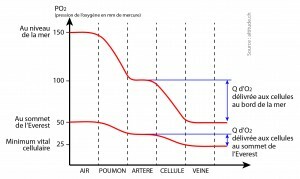 With elevation, the drop in atmospheric pressure implies a rarefaction of oxygen hence the need for the organism to adapt prior. 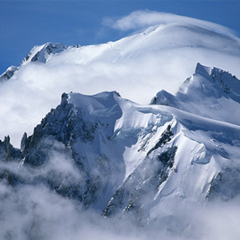 Oxygen pressure – 160 mm of mercury at sea level, 85 mm at the top of Mont Blanc : air is half rich in oxygen. 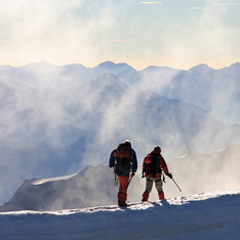 • 79% of people asked, once returned from a Mont-Blanc ascent, said they suffered from AMS : headaches, nausea,vomiting, oedema, insomnia, fatigue, dizziness, etc. These signs can persist and be invalidating or fatal (brain oedema in particular). 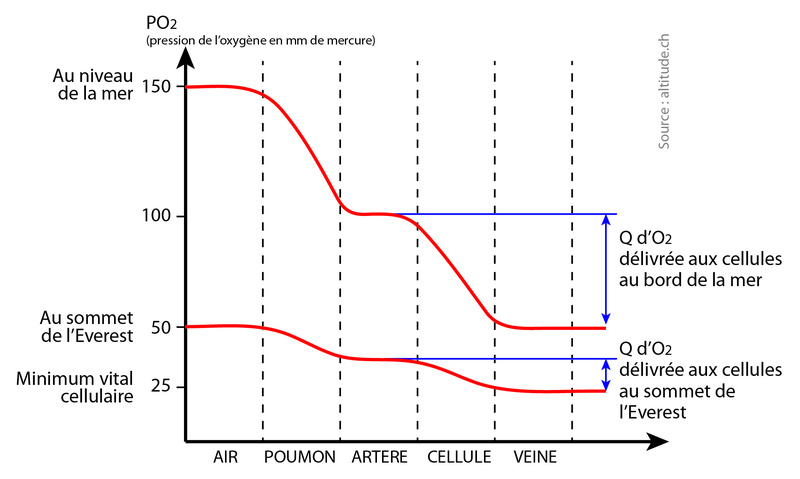 • Only one prevention : acclimatization !